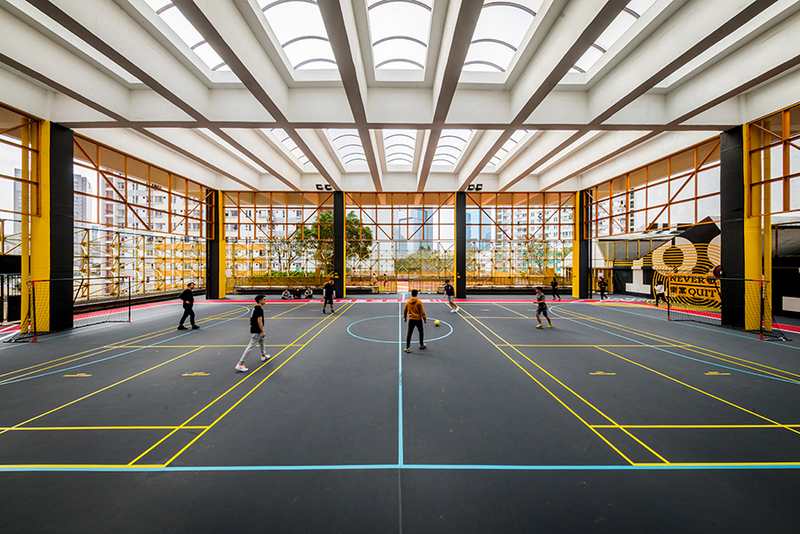 One Bite Design Studio was appointed by Gaw Capital as the Executive Designer for the revitalisation of Kai Yip Recreation Ground in Kowloon Bay, Hong Kong. 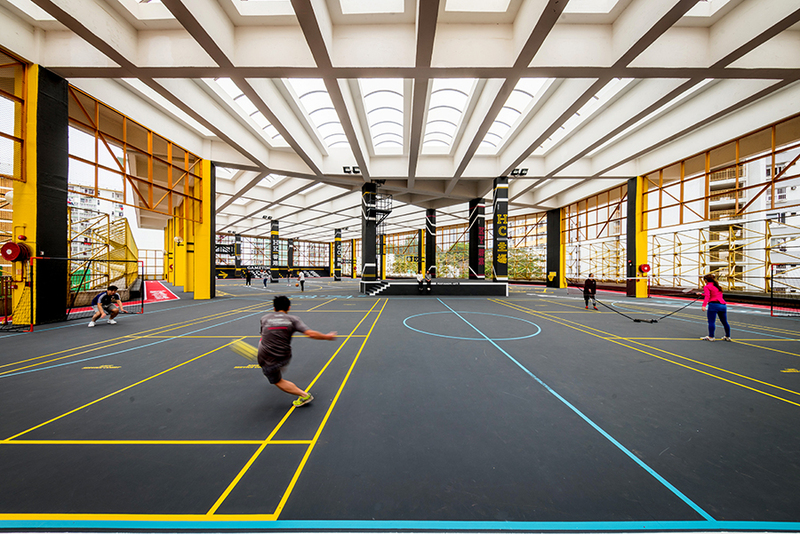 As part of “People’s Place” portfolio, the revitalisation project aims to transform the lacklustre basketball courts located at the rooftop of the shopping mall and car-park complex into attractive recreational facilities for the residents of Kai Yip Estate. 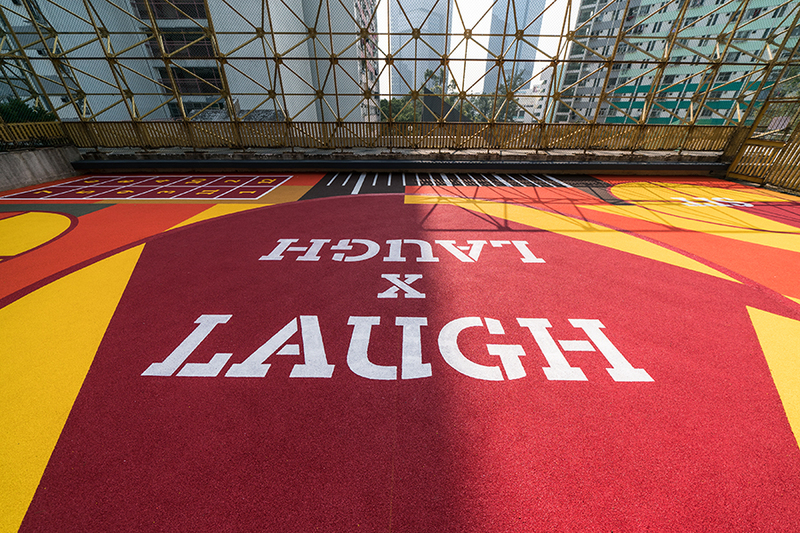 It is a statement of intent, demonstrating the importance of social inclusivity at every level for a sustainable local neighbourhood like Kai Yip Estate. 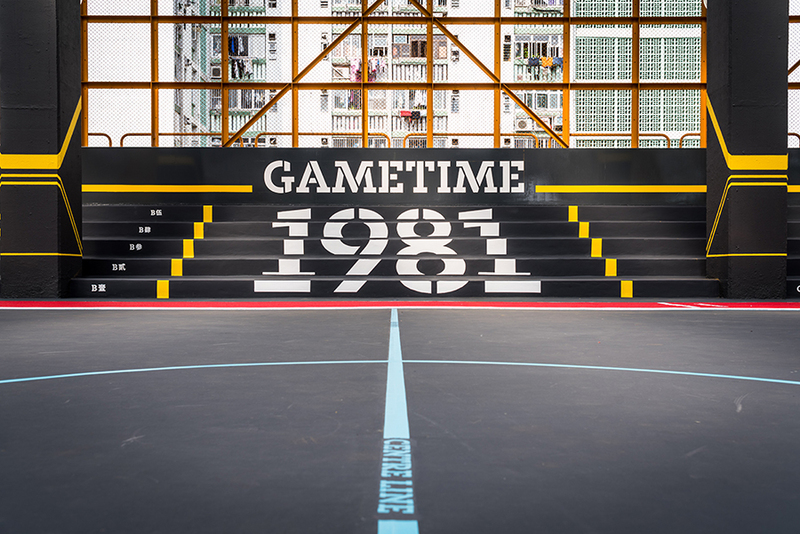 Known as “the Golden Cage” since opening in 1981, the basketball courts at Kai Yip were the ‘temple’ of the local basketball scene in Hong Kong. 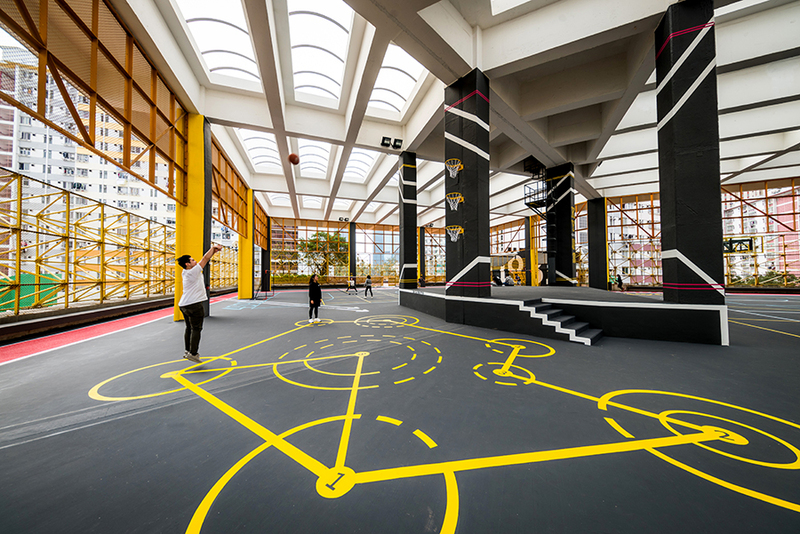 Working together with Graphic Designer SLAB and the local basket-baller community, the design for the new basketball courts originates from the commonly seen neon lights of Hong Kong. 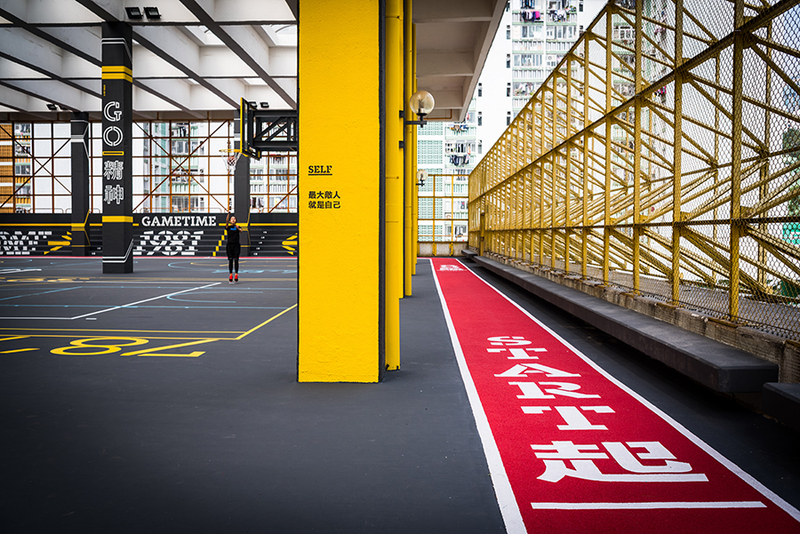 Sharp and eye-catching, the colourful graphics reflected elements of the technicality of basketball games, as well as the locality of the courts to match with the high-tempo street basketball vibe. 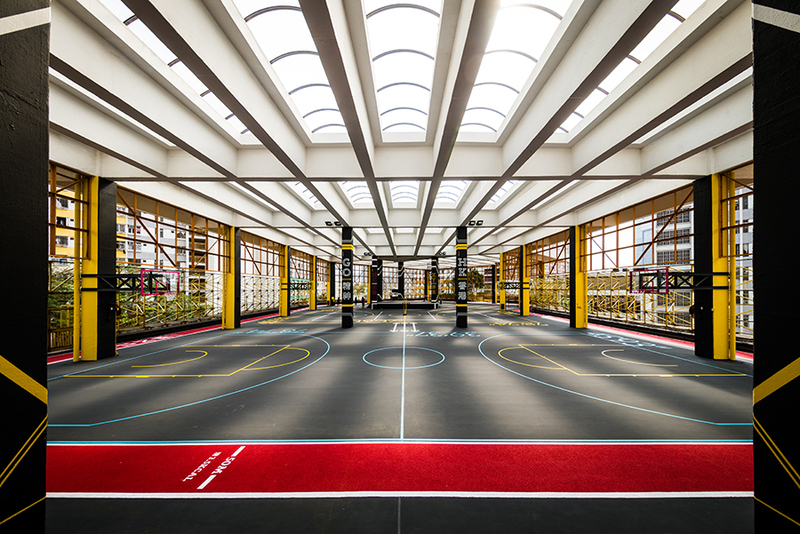 New supplementary facilities around the basketball courts were installed in order to increase the ‘fun’ elements of the courts, allowing basket-ballers to kill time whilst waiting for the next game. 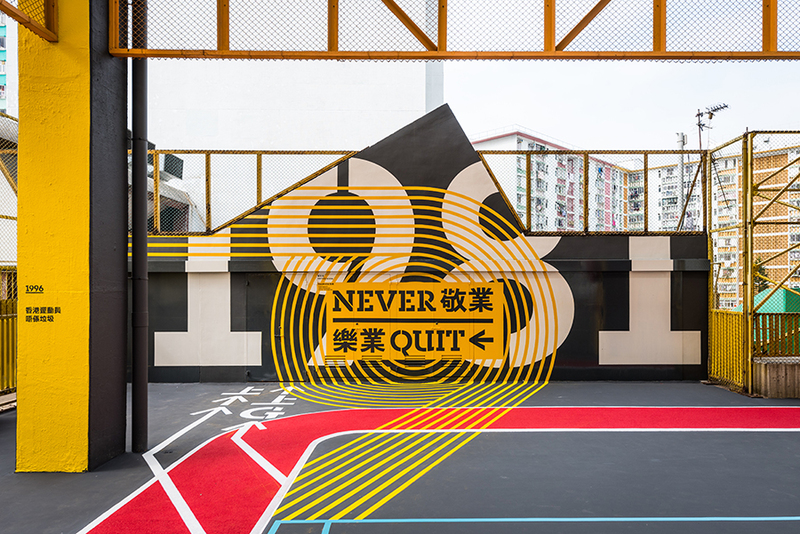 In order to improve the functionality and inclusivity of the Recreation Ground, a new running track was introduced inside the sheltered portion of the ground. An outdoor zone was also created, incorporating a new fitness training area with equipment such as battle rope, and children-friendly facilities. 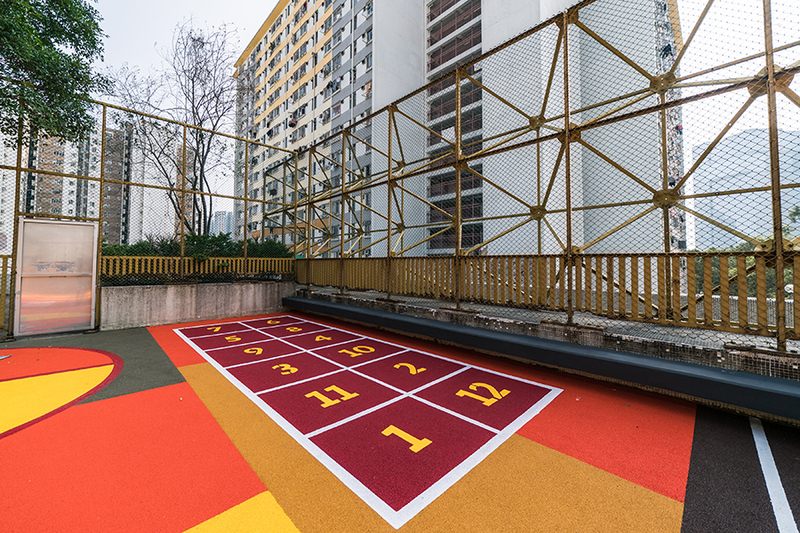 Together with the ample space reserved for the existing Tai-Chi players, this upgrade allows the Recreation Ground to be a training ground for runners, an outdoor gym and a children playground for users from all age groups. 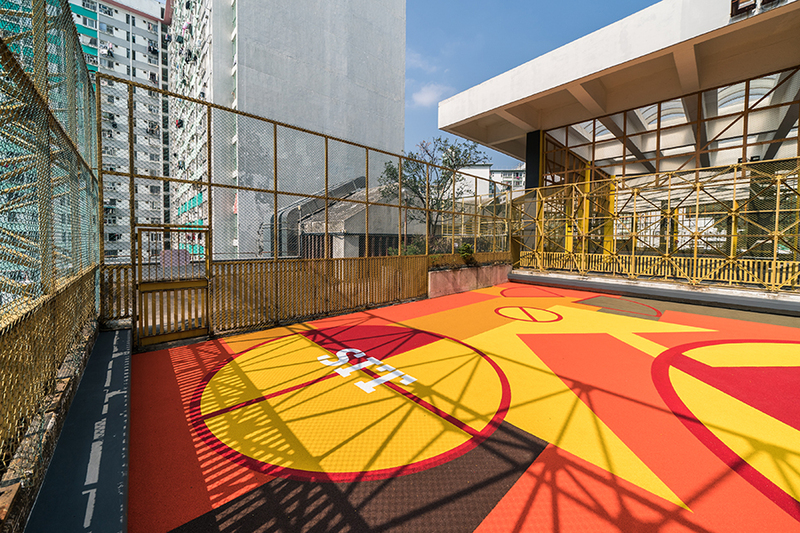 The colourful patterns of the outdoor portion of the Recreation Ground, with the visually illusive “Kai Yip” hidden within, allows the ground to have a visual dialogue with residents living at the surrounding residential blocks. The overall design enhances the branding and identity of “People’s Place”, being a place that is open and inclusive for all.